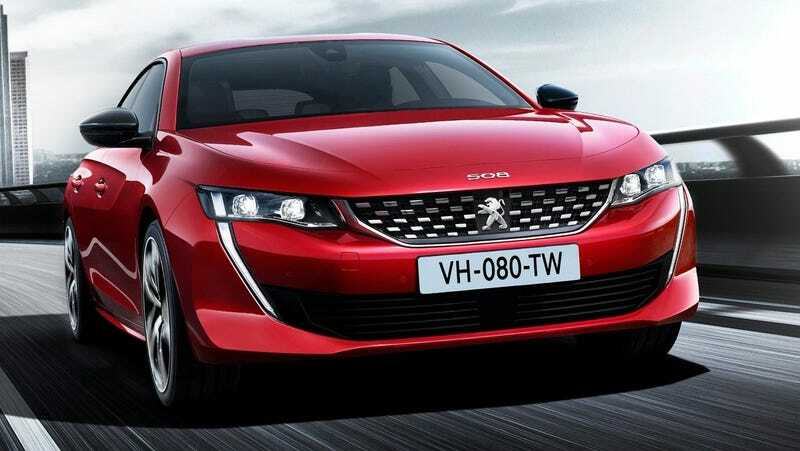 Trump's Imported Car Tariff Could Ruin PSA Peugeot-Citroën's Plans to Return to the U.S.
President Trump’s threatened 25 percent tariff on imported cars would not only dramatically impact automakers both foreign and domestic and cause car prices to increase, it would also spell disaster for PSA Peugeot-Citroën, which is already deep in the process of returning to the North American market. President of PSA North America Larry Dominique said just as much earlier today, following more details on the automaker’s plan to return to the U.S.
[If] Trump follows through on a potential 25 percent tariff on imported cars, the French automaker could look to Canada first and wait and see what happens with the U.S., said Larry Dominique, president of PSA North America. The company may have to offer more expensive vehicles due to higher levies, he said. The Department of Commerce is currently investigating the impact of imported cars on the domestic market as a threat to national security, which is the only legal way for the President to impose new tariffs. It’s safe to say it’s an extremely unpopular suggestion among almost every group it concerns, as politicians, automakers, suppliers, economists and more have all come out against it. Trump’s tariffs wouldn’t impact PSA’s move into Canada, however, thanks to a new free-trade deal between our syrupy neighbors and the European Union, according to Bloomberg. It would just be screwing us out of some exciting new French cars. Dominique also detailed other developments in his company’s comeback, including which 14 states they would initially target for sales, the exploration of innovative new distribution models, as well as a U.S. car sharing service involving 600 vehicles with a more formal announcement about that scheduled in the next few weeks, according to Automotive News. That all sounds great, it’s just too bad the unnecessary trade war is going to ruin it for everybody. Except the Canadians. Update, July 18 2:45 p.m.: This post has been updated to include more context from Bloomberg’s reporting to better reflect Dominique’s statements.